You’ve heard of aquariums and terrariums, but probably not of a vivarium before. These enclosed structures take on a whole new meaning when science is brought into the picture. And little do people know when they walk across the main floor of Bond LSC, they are walking above a city-like work space where the occupants work to improve our lives. Vivariums functions as cubicles, condominiums and daycare centers for the rodents that live within them. 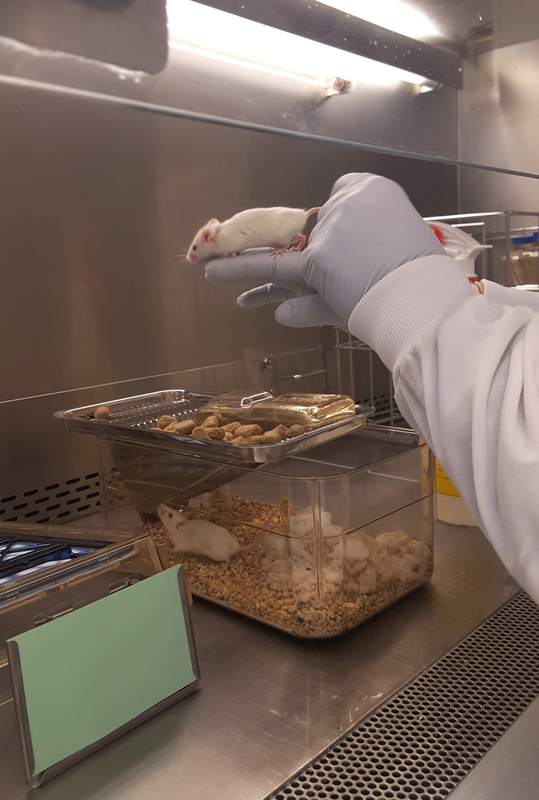 The 10,000 square-foot lab at Bond LSC uses these transgenic rodents to study muscular dystrophy, diabetes, fertility, and oncology research, among other health research areas. Raye Allen, the lab supervisor for Bond LSC’s vivarium, said cleanliness and care are the top priorities in addition to research. Cleaning, transporting, feeding the rodents all require a carefully detailed process. The 1,700 clear polycarbonate containers are arranged in rows with single, coupled or a small family of rodents within them. Each shoebox-sized rodent condo, is provided with dry cushioned bedding, large quantities of food and water, as well as their own little hiding space. Clean, filtered air is also pumped through the back of their homes. “These rodents live a cleaner life than you or I could ever imagine.” Weir said. Each person who enters the lab must wear closed toe-shoes, two sets of nitrile gloves, a white floor-length, long-sleeved button up lab coat, a face mask and hairnet. Several university, state and federal regulations ensure the safety and security of Bond LSC’s transgenic rodents. The National Research Council, USDA’s Animal Welfare Act, and University of Missouri’s Institutional Animal Care and Use Committee work together to monitor animal welfare and set standards for lab research on animals. 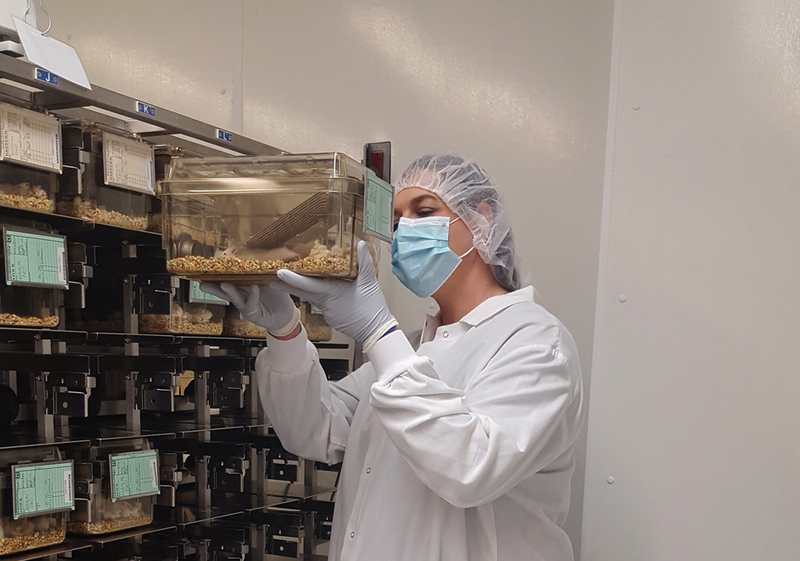 The Institutional Animal Care and Use Committee (IACUC) inspects Bond LSC’s vivarium every six months, in order to make sure that containment, handling and safety protocols followed by lab researchers are up-to-date. The IACUC also reviews the purpose of animals being used for each particular research project. A board of faculty members, veterinarians and two non-science community members review justification from lab researchers. The safety and security of these rodents are the top priority of the researchers working in the labs, but there is also an emotional bond that is formed between them as well. The researchers like Allen who work with these rodents on a daily basis, care deeply about the rodents as well as the work these furry critters do.